Home > Articles > Opinion > What price Heritage? Money, Money, Money: What price heritage? 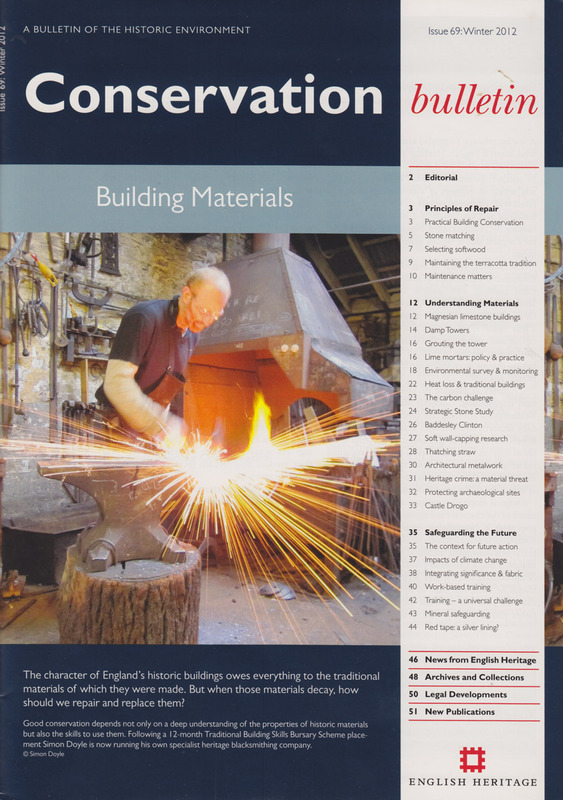 Twice a year, summer and winter, English Heritage publishes a fascinating magazine called Conservation Bulletin. It is intended for those it calls ‘conservation specialists, opinion-formers and decision makers’; it is a wonderful magazine, as it gives an insight into the concerns and policies of English Heritage, the body we all love to hate. Occasionally I find myself in full agreement; often I am persuaded by it; but occasionally, very occasionally, I regret to say that I find myself in disagreement. Take for example the latest number, issue 69, for Winter 2012. “A few months ago I attended a meeting with an MP acting in support of a constituent who was faced with extensive repairs to a number of listed buildings … He wanted local stone slates to be replaced by concrete facsimiles”. He goes on to say that “Few people would dispute the aesthetic value of Cotswold slates… by contrast, the mechanically uniform concrete slate is far less attractive to lichen and the subtle patination of age”. Of course I agree with him, but there is one major factor that he omits from his discussion: cost. If the Cotswold slates cost 10% more than the modern equivalent then of course I agree with him. If they cost 50% more, I would also agree with him: but what if they cost double? What if they cost ten times as much? Surely in this case we must think hard: just how incompatible are the concrete facsimiles? If it is simply a matter of being unattractive to lichens and the ‘subtle patination of age’, then surely it would be unreasonable to insist on using Cotswold slates, particularly if there is comparatively little difference with the modern replica material. Money is surely a crucial factor. But here it is nowhere discussed. 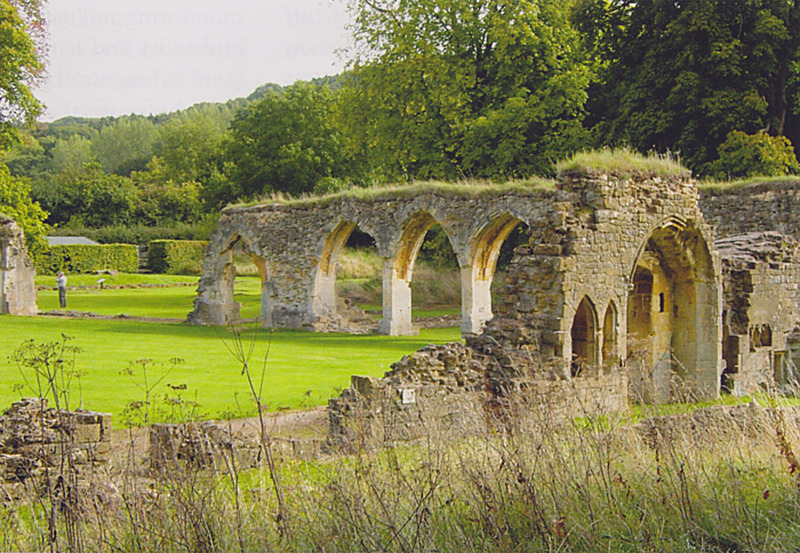 Actually, I have just discovered another reference to money in an article by Heather Viles, Professor of Heritage Conservation at Oxford, who advocates using turf as a capping for stone walls as in her photo above of Hailes Abbey. She writes: “Our research demonstrates many advantages of soft capping and, crucially, shows that soft capping is usually considerably cheaper”. Hurrah! Indeed the sordid matter of money is only, as far as I can make out, mentioned in one article in the Bulletin, entitled ‘Red Tape: is there a silver lining?’ This deals with the chemicals used in paint strippers which are being ‘regulated’ by the EU — and here cost is mentioned with the statement that ‘the cost of compliance made production prohibitively expensive’ and it goes on to ask: ‘For example, if those using the chemicals had always worn appropriate protective equipment, would there have been the same imperative to ban its use on health grounds?’ But apart from this and one other mention, cost as far as I can see is nowhere mentioned. If we are to conserve our past, we should remember that the vast majority of historic buildings are owned by private individuals who live in an historic building, precisely because they value its historic age, but who are also all too well aware of the problems of cost. They wants to conserve, but at what cost? Where should one take the short cuts? Where is it reasonable to use modern, cheaper materials? And when should one be prepared to bear the extra costs for the sake of authenticity? When an inspector demands that changes should be made to an historic building, he should be aware of the cost, and cost should be built in to the various ‘action plans’. When research is being carried out, much of the research should surely be on finding cheaper ways of conserving historic buildings. In the past, owners have not hesitated to upgrade and improve their historic buildings and the buildings that we see today are often the results of such upgrades. Yes, there are failures which we regret, but it is the successes that we applaud. Just look at any historic church today and realise how much of its charm comes from the juxtaposition of the styles of different ages. In doing building conservation and research, those at English Heritage should surely realise that money matters, cost is important. Yes, we want to conserve the past, but this will only be possible if we are reasonable and we carry the general population, and in particular the owners of historic buildings with us. English Heritage should come down to earth, and realise that in the real world, money matters. (If you are a conservation specialist, opinion former or decision maker, you can ask to be put on the mailing list for Conservation Bulletin by emailing mailinglist@english-heritage.org.uk).